For the sixth straight month, the national unemployment rate sat at 4.1 percent. That is the most consistent unemployment rate we’ve seen since we’ve been tracking from January 2014. As we have discussed before, unemployment rate isn’t the only marker of a healthy workforce, but a steady, low unemployment rate is good news for all Americans. However, unemployment rose for both the total veteran population and the post-9/11 generation. 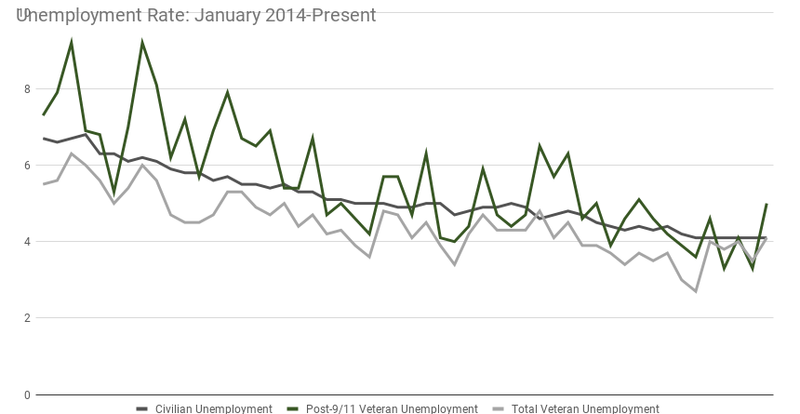 The veteran unemployment rate, including all eras of veterans, rose to 4.1 percent. That’s up from last month, but still on par with the national unemployment rate. However, the post-9/11 unemployment rate rose to five percent, after a low of 3.3 percent last month. While not a great sign, we will have to wait a few more months to determine if this is an outlier (a number that doesn’t match with the rest) or if this is the beginning of a troubling trend: higher post-9/11 veteran unemployment rates. Last month, the Bureau of Labor Statistics released its 2017 report on veteran unemployment. Overall, the results were mixed. For the post-9/11 generation, the 2017 unemployment rate fell to 4.5 percent. For all veterans, the 2017 unemployment rate was 3.7 percent, a decline from 2016’s number of 4.3 percent. In other good news, there was no meaningful difference between the unemployment rates for male and women veterans; and women veterans’ unemployment rate stayed about the same at 4.1 percent. However, post-9/11 women veterans face a higher unemployment rate than their civilian counterparts. 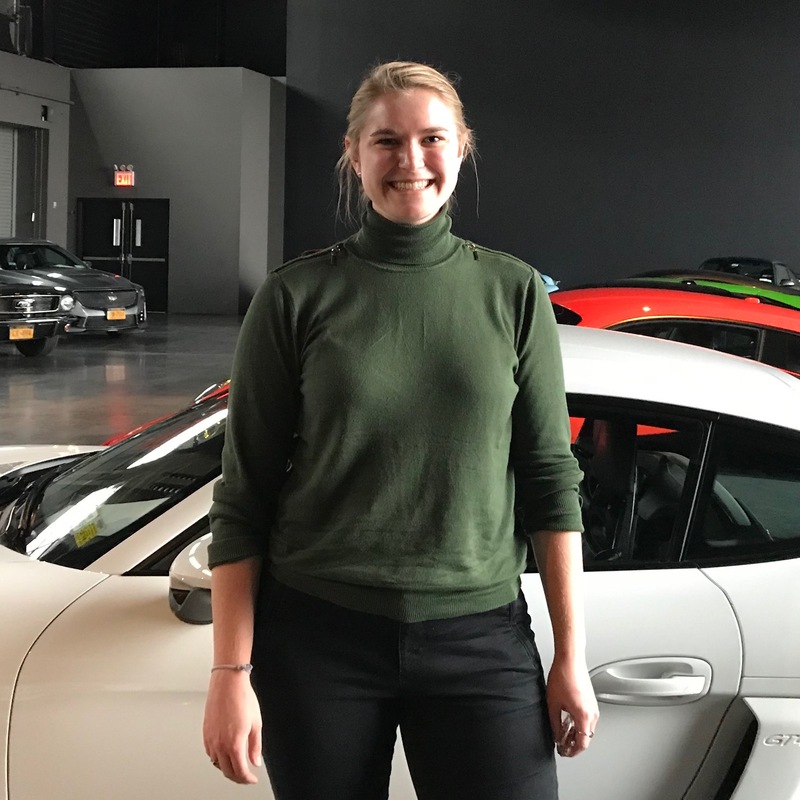 And for the youngest women of the post-9/11 generation, those in the 25 to 34 year old age range, saw a significantly higher unemployment rate than their civilian peers. While it’s encouraging to see women veterans unemployment rate remain steady, with no meaningful difference between genders, there’s still work to do. That’s why IAVA is continuing to bring attention to the stories and issues women veterans experience through our #SheWhoBorneTheBattle campaign. Find out more about IAVA’s 2018 priorities, including our #SheWhoBorneTheBattle campaign here. If you or someone you know needs help finding employment resources, our RRRP team is standing by.